This Setu chair is finished in Studio White with Alpine Lyris Mesh. 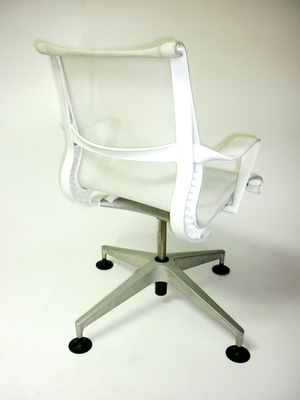 The chair automatically adjust to your movements, giving you exceptional comfort and support. 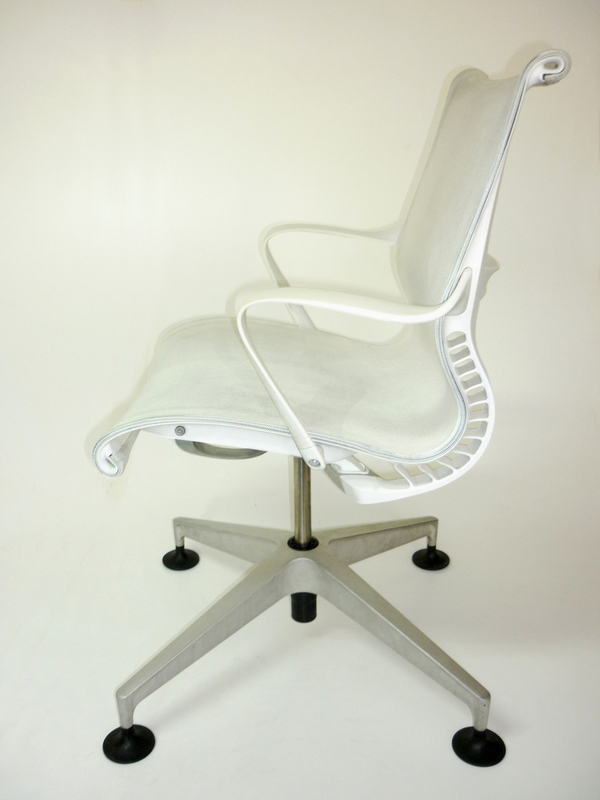 As there is no rigid structure to the suspension material, it is able to conform to your body shape and also being a mesh material stops heat build up which can cause discomfort during long hours of sitting. Glides on feet are fine for hard wood floors or carpet. 4 star base. (Seat not height adjustable). Overall Dimensions: 886h x 650w x 650d mm. Seat Pad Dimensions: 470h x 471w x 381d mm. Up to 136kg user weight.